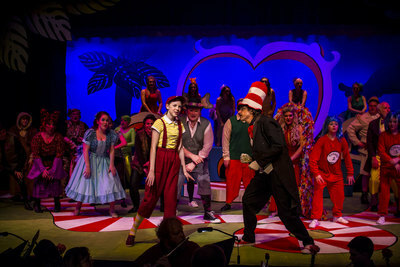 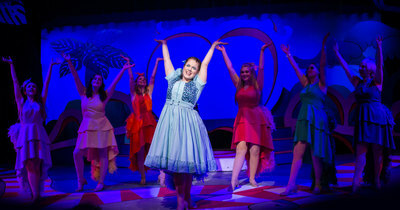 Fun for the whole family, Seussical is a magical, musical extravaganza featuring all of our favorite Dr. Seuss characters. The Cat in the Hat narrates the story of Horton the Elephant, who hears a faint noise coming from a speck of dust on a clover. 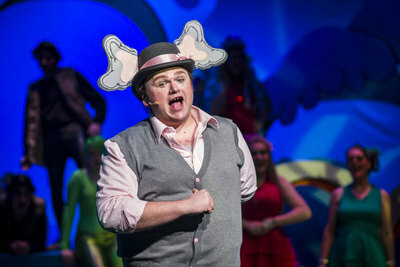 He commits to protect the invisible Whos who live there, including Jojo, an imaginative Who child who is always getting into trouble for thinking too many “thinks.” Horton faces a double challenge: not only must he shield the Whos from a world of naysayers and dangers, but he must guard an abandoned egg left in his care by the irresponsible Mayzie La Bird. 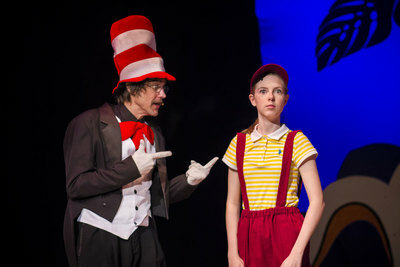 Although Horton faces ridicule, danger, kidnapping, and a trial, the intrepid Gertrude McFuzz never loses faith in him. 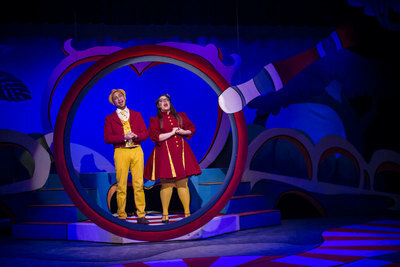 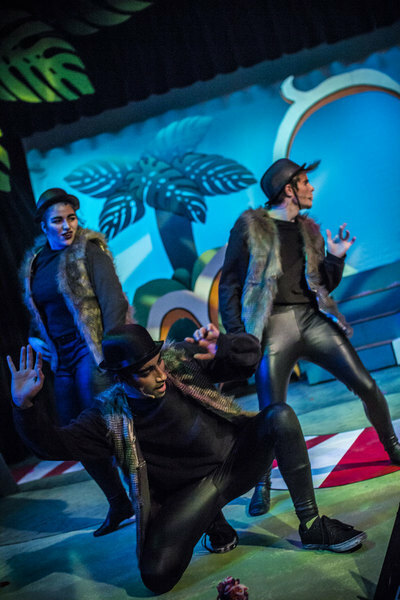 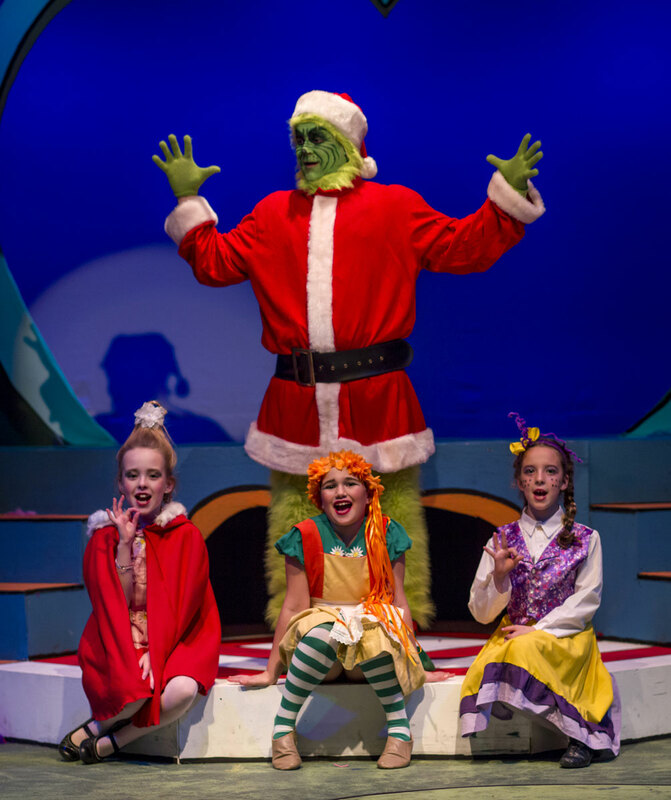 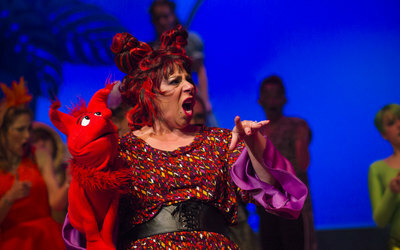 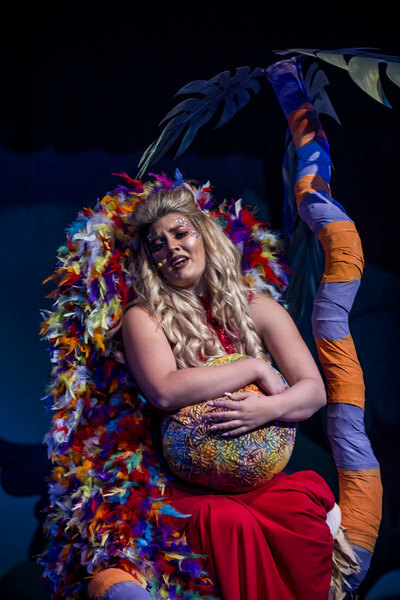 Ultimately, the powers of friendship, loyalty, family, and community are challenged and emerge triumphant in this musical journey through the Jungle of Nool to Solla Sollew. $25 Adult / $15 Youth (6-18 yrs).